Fitness industry in India is worth Rs.4,500 crore and is growing at 16-18% annually and is expected to cross Rs.7,000 crore by 2017. [v] The industry is fragmented with majority of the market dominated by unorganized and independent gyms outlets. The organized or modern fitness retail is around 28% currently but growing a 22-27% yearly growth rate. [vi] There are over 21,000 health and wellness centers across India as of 2014. Fitness chain Talwalkars recently made a deal hat-trick; it bought 51% stake in Chennai basedInshapeHealth and Fitnez Private Ltd (IHPL), 19% stake in Gym trekker Fitness and 49.5% stake in Sri Lanka’s Power World Gyms (PWG). Expansion:[xii] Plans to open 30 new centers in 20 cities (Tier II and Tier III cities) with an investment of Rs.90 crore. Renowned fitness center in Chennai with fascinating ambiance and professional services to meet desires you cherish. 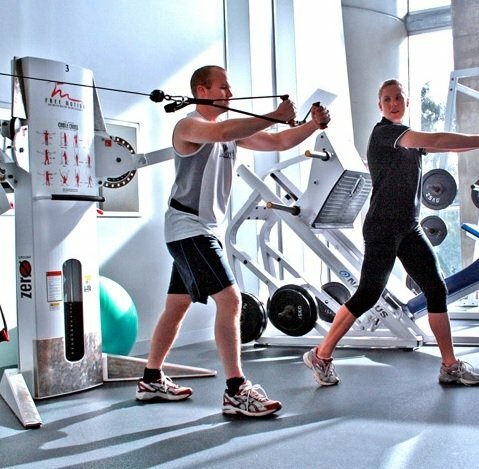 One stop portal to access any fitness center across the country. Honest Weight Loss through Super Foods. No pills. No gadgets. No false promises. Access all premium gyms & fitness studios near you at the cost of one. Mobile fitness app powered by celebrity trainers. It helps you become as fit as you want, in the way that you want. Organized fitness market is concentrated in top eight cities of India -Delhi NCR, Mumbai, Bengaluru, Chennai, Kolkata, Pune, Hyderabad and Ahmedabad with more than 60% of top companies located here. While the market will continue to grow in these cities, high real estate costs will drive players to look at tier 2 and 3 cities for growth. Hence, a higher growth in the premium and mid-end of the market is anticipated.